A belated Happy New Year to all our readers! This is a particularly special year, as La Trobe University turned 50 (as of 8th March, 2017). The event is being marked by a year-long list of activities, and in the midst of submitting applications for grants, I have been attending some of these – I was at the La Trobe Expo hosted in the Queens Hall, Parliament on Wednesday 8th March, and on Wednesday 15th March, I accompanied Mrs Tennison at the 50th Anniversary Campaign Launch Dinner, held at the Regent Plaza Ballroom in Melbourne. World Autism Awareness Day is nearly upon us (April 2nd) and once again, we will be profiling an artist with Autism. This year, our exhibition will feature Melbourne artist Prue Stevenson, an RMIT Fine Arts graduate, now studying her Masters, and winner of the 2015 Emerging Artist Award. We are privileged to be able to share Prue’s work this year, with the support of the La Trobe Art Institute. Prue’s work will be on display at Writers Block Café, Bundoora Library, La Trobe University, from 1st April until 21st May. I will soon be visiting Paro, Bhutan in April to present an invited paper at the International Conference on Autism and Neurodevelopmental Disorders (19-21st April). The meeting is being hosted by the Ministry of Health and Family Welfare of Bangladesh; Ministry of Health of Bhutan; Shuchona Foundation; Ability Bhutan Society; and the World Health Organization South-East Asia Regional Office. Shortly afterwards, together with many of our staff and students from OTARC, I will also travel to the International Society for Autism Research Conference (IMFAR) in San Francisco in May (10-12th). 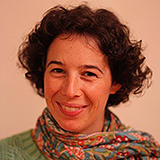 I am delighted to be an invited expert for the Meet the Expert Early Career Researchers (ECR) Forum at IMFAR, and Dr Kristelle Hudry will once again be co-Chairing the Special Interest Group on Implementing and Evaluating Community-based Early Interventions. We will be welcoming Professor Sally Rogers to La Trobe to train five ESDM therapists (four from the Victorian Autism Specific Early Learning and Care Centre; ASELCC) to deliver the Parent-ESDM. Under the guidance of these parent coaches, parents learn to implement the ESDM themselves with their child in their own home. We look forward to welcoming Sally who developed the ESDM (with Professor Geraldine Dawson and Dr Laurie Vismara). She is an outstanding researcher and clinician, and was responsible for training the team at our ASELCC on the ESDM. This team have not only gone on to implement the ESDM as a group-based model, but have also recently published the Group-based ESDM Manual, together with Professors Rogers and Dawson. This is a wonderful achievement for the team and speaks to their leadership in the group-based ESDM. 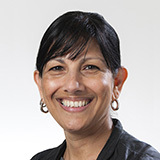 We have recently welcomed Professor Sue Leekam who is visiting OTARC. Sue is Director of the Wales Autism Research Centre at Cardiff University in the UK, and has been working closely with one of our Autism CRC post-doctoral research fellows, Dr Mirko Uljarević. Sue supervised Mirko during his PhD, and was herself mentored by Professor Margot Prior at La Trobe University in 1989, when she spent a year here as a post-doctoral fellow. It was then that I first met Sue, myself a PhD scholar at Monash University at the time! I hope you enjoy our Autumn edition of Another Piece.